The recent dismantling of the Mexican American Studies Program in Tucson, Arizona has less to do with facts over a highly successful thirteen year old curriculum taught in the Tucson Unified School District and more to do with ideological dominance and power over whose voices will be heard in a democracy. Despite the state’s own commissioned study that showed the Mexican American Studies Program fully complied with the law and had produced significant results in student achievement, Arizona Superintendent of Public Instruction John Huppenthal , nevertheless, continued his pressure to suspend the program. In January of this year, faced with a multimillion dollar reduction in state aid as a penalty, the Tucson School Board voted 4-1 to dismantle the program. The Ninth Circuit Court of Appeals is now considering a suit that was brought by students and teachers. The court found, however, that the teachers do not have standing but that the suit by students could continue. Teachers have set up a website, Save Ethnic Studies, where readers can follow the progress of the case, donate to the cause, and sign a petition. The struggle in Arizona goes to the heart of democracy. As U.S. Rep. Raul M. Grijalva says, “This legislation against diversity might be focused on Tucson, but it has significant ramifications across the country.” (Biggers, 2011) It raises questions about who will have a voice and how that voice will be exercised. It asks whose history should be taught and how it should be portrayed. Ultimately, it raises questions about truth. Do we betray our students by presenting only a sanitized account of our history; do we pretend that this nation has never failed to live up to its ideals; do we continue to suppress voices that have been historically silenced, or more often, co-opted and appropriated by the dominant discourse. Or do we allow and encourage alternative narratives in a more inclusive democratic conversation. Public education is at the heart of these questions. As teachers were ordered to box the censored books for storage in the Textbook Depository, one cannot help but wonder what messages were being sent by a political authority that was supposedly concerned about not promoting ethnic resentment. For young people whose encounter with these books led to self discovery, positive images of Latino identity, and transformative knowledge and action, the State’s actions must surely have been traumatizing and a lesson in the very oppression and hegemony that often defined the social conditions of their communities. Biggers, J. (2011). Arizona's Ethnic Studies Ban Has National Ramifications, Warns U.S. Rep. Raul Grijalva, HuffPost, Posted: 5/11/11 11:00 PM ET. Retrieved from http://www.huffingtonpost.com/jeff-biggers/arizonas-ethnic-studies-b_b_860860.html on January 21, 2012. Prohibited Courses and Classes; Enforcement. AZ Rev. Stat. §15-112 (2010) Retrieved from azleg.gov. For more insights into this issue, I invite readers to visit the upcoming issue of our electronic journal, the Journal of Educational Controversy (Volume 6 Number 1) and read “The Hypocrisy of Racism: Arizona's Movement towards State-Sanctioned Apartheid” by Augustine F. Romero, Director of Student Equity and Co-Founder of the Social Justice Project, Tucson Unified School District, Arizona. 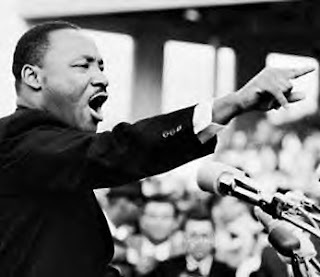 From a national holiday in his honor to a firm position in the state standards guiding the prescribed curriculum of nearly all schools, Dr. Martin Luther King, Jr. is one of the most widely celebrated civil rights leaders and dissenting activists in America. Examining the treatment of this exemplar as portrayed in widely adopted social studies textbooks reveals important and worrisome insight into the prescribed treatment of leaders who engage in social and political dissent, if they are mentioned at all. While the content of what is taught about an historical figure certainly encompasses more than just the adopted textbooks of the school, textbooks offer a starting point for examining the account of a figure that has been, at minimum, tacitly endorsed by the school board through their adoption of the text, even if teachers may chose to supplement or ignore its contents. My graduate research assistant and I examined the treatment of King in nine major textbooks selected based on large state adoptions as chronicled by the American Textbook Council, representing 80% of the textbook market in social studies. In most textbooks, King is celebrated as a hero who preached love and unity as he tried to bring together Americans divided by racism. A typical portrayal of King is demonstrated in the eighth grade social studies textbook, Creating America: “Dr. King became the leader of the Montgomery bus boycott. Fresh out of school, he had been in Montgomery about a year. But his courage and eloquence made him a perfect person to lead the movement. King learned about nonviolence by studying religious writers and thinkers. He came to believe that only love could convert people to the side of justice. He described the power of non-violent resisters: ‘We will wear you down by our capacity to suffer. And in winning our freedom…we will win you in the process’” (p. 585). While there certainly are many aspects of this image that are true, these textbooks tend to ignore the complexities of King’s life as a political dissenter and social activist. The radical aspects of his work, especially those that became clearer later in his life as he fought poverty and the Vietnam War, are rarely mentioned, if at all. One of the few mentions is the rather innocuous statement in The American Nation: “He became increasingly upset that funding for social programs was being diverted to the war in Vietnam” (p. 938). With the exception of the more nuanced portrait offered by Joy Hakim in A History of Us, the overall textbook impression offered of King is as a gentle uniter—one who is accepted and appreciated by all—and one who worked hard to calmly win over white people. He is shown in contrast to some of his Civil Rights colleagues who chose to focus on empowering Black peers instead and especially in contrast to Malcolm X whose radical tactics many textbooks imply should not be emulated. Failing to demonstrate for students the ways in which King passionately and even, at times, angrily engaged dissent to reveal problems, break unjust laws, rally the public, and demand alternative ways of living, prevents students from seeing the success and necessity of dissent and activism in democracy. Painting such a limited and seemingly rosy image of King suggests that the work of other dissenters who are less well-known or respected may be even more problematic or inaccurate, possibly depriving students of a rich account of the complexities and sustained efforts of those who practice dissent well. In order to paint a fuller and more accurate picture of King and his contributions, schools need to go beyond the image offered in popular textbooks. The House and Senate of New Hampshire kicked off the new year by overturning a veto by democratic Governor John Lynch on HB 542. This bill allows parents to object to classroom curricula (and in some cases also the way material is taught) and requires schools to offer an alternative that is satisfactory to parents. Most obviously, the implementation of such a bill is a nightmare for teachers who, though unlikely, could face dozens of objections and alternative requirements for their students at any one time. But perhaps more importantly, this bill favors the views of parents potentially to the detriment of the public good, the dissolution of democratically selected curriculum, and the full development of the child as an autonomous liberal chooser which requires exposure to multiple and conflicting worldviews and life choices. Cases such as Wisconsin vs Yoder, Pierce vs Society of Sisters, and Mozert vs Hawkins County Board of Education have struggled to balance parents’ rights, children’s autonomous development, freedom of religious practice, and the needs of the state. The Universal Declaration of Human Rights has also weighed in on the issue, suggesting that children should receive a certain type of education that prepares them for peaceful global citizenship, while also allowing that parents should have choice over the type of education that children receive. While the scales seem to have been tipped toward the parents in NH last week, I am reminded of a counter call from a fellow philosopher of education, Sigal Ben Porath: “"When parents oppose teaching their children a democratic, civic curricula (as in Mozert), they ‘do not have a general right to override otherwise legitimate democratic decisions concerning the schooling of their children.’ It is therefore the school’s commitment to democracy that takes precedence over any demand made by specific parents or groups regarding the civic education of children. This claim, widely accepted by political, educational, and legal commentators in the context of Mozert, should be extended to include situations in which the social majority rejects the educational commitment to substantive democracy. The democratic argument for committing the public education system to the principles of democracy, not to majority rule or parental authority, should be maintained in better and worse times." I can see how parents should have some outlets for expressing objections and putting forward alternatives when the content taught in schools is legitimately wrong or sufficiently unjust (I’m thinking here of some of the worrisome social studies content favored in Texas and the limited version of history endorsed by the state in Arizona and Florida). But overall, I generally favor tipping the scales toward democracy, including curriculum that is democratically constructed and geared toward the public good. The scene: a kindergarten. Little children are singing a simple song together. As usual, some follow the words easily and know the tune, while others hang back, more hesitant. At first glance, it seems like a familiar tableau. Yet in this Québec classroom, something is different. One child is not participating--while the other children sing and chant, she sits quietly, wearing noise cancelling headphones. Her parents are conservative Muslims, and they have decided to forbid her from participating in the school's musical activities. The Montreal tabloid Le Journal de Montréal reports that this scene is a regular occurrence at one kindergarten class in Montreal's Saint-Michel neighborhood. The decision has been backed by both the school authorities and the Ministry of Education.